Apparently, Al Sharpton views himself as the criminal Baltimore Mayor’s, protector. He behaves in an uncouth and nasty manner to the young FOX reporter. Sharpton invades the man’s personal space. But, don’t expect any apologies from Sharpton. Why? He is a mainstream media poster boy. 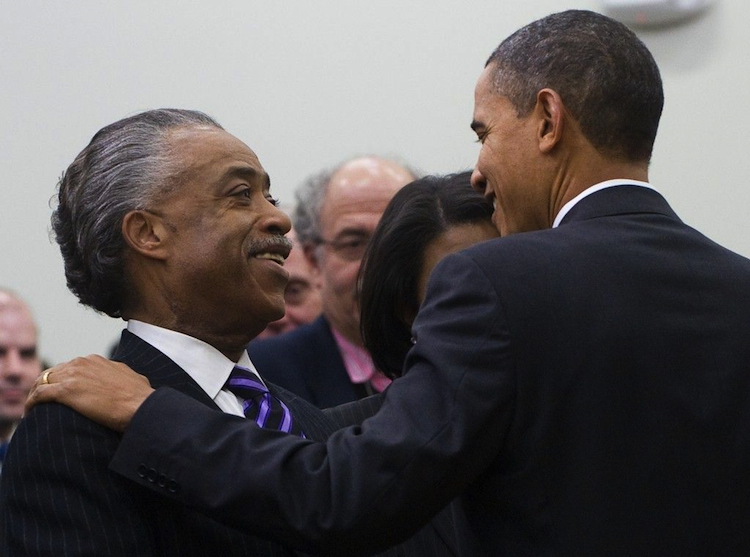 Al Sharpton has had a private meeting with Obama over 62 times since 2009. Now we can all see the type of company that Obama and Valerie keep. One is known by their associates. I would agree with you. Especially when I opened your link. The pic of Sharpton! Looks as though he’s appearing more wicked with each and every White House visit!